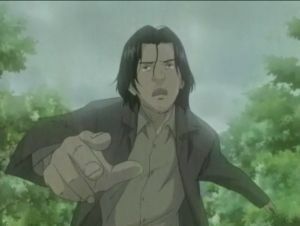 Tenma runs into Lunge, the latter apologizing for his previous accusations against Tenma. 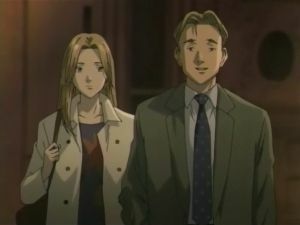 Nina and Dr. Gillen rush to Ruhenheim. 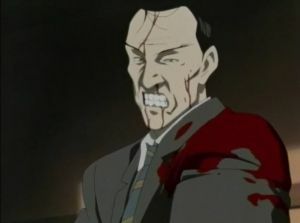 After the winning lottery couple is wounded in an attack on Bonaparta's hotel, Grimmer rushes out to the streets to reason with the unknown assailants. Robert delves into Johan's past and makes a shocking discovery. Dr. Gillen speaks to Peter Jurgens, a serial murderer about Johan's possible involvement and gets a tragic reply. Johan confronts Robert about Stephen Joos. And Dr. Reichwen receives tragic news from the police. 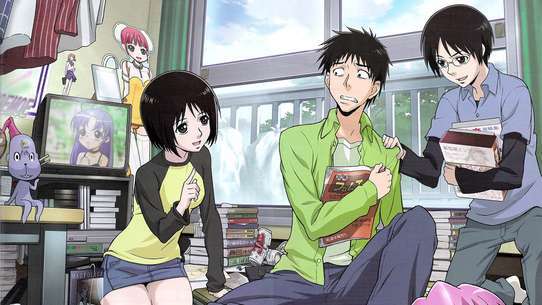 Suspecting foul play in Robert's 'accidental' death fall, Dr. Reichwen makes some discoveries in his investigations. But as he later realizes, his investigations may have put him in harms way. Bonaparta attempts to shoot Johan dead, but is gunned down by Roberto, who dies of his own injuries soon afterwards. With the massacre now over, authorities rush into the town and attempt to determine what happened. 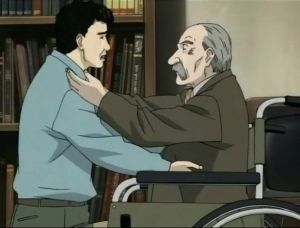 Just as an officer is about to arrest Dr. Tenma, an ambulance worker arrives asking for Tenma's assistance. 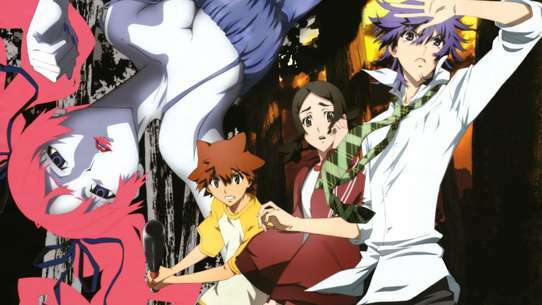 As time passes, more people in Ruhenheim are being shot dead by mysterious people and each other. Both Grimmer and Lunge determine that the owner of a local hotel is Klaus Poppe, also known as Franz Bonaparta. After subduing a man who was giving weapons to everyone in the town, they obtain information that one of the ringleaders is in a second hotel. Lunge confronts Roberto, one of the ringleaders, in a hotel room. Both are subsequently wounded in the fight. 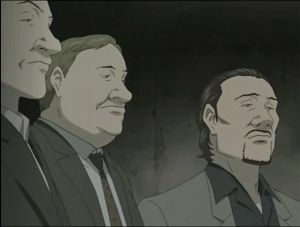 Nina and Gillen arrive in Ruhenheim where they find a house containing drawings of the two twins by Bonaparta. This triggers a final memory and the secret to Johan's madness and motives, his quest for true solitude, as well as forgiveness for his actions. 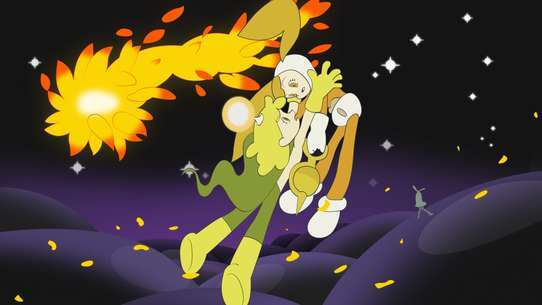 Bonaparta accompanies Tenma on his quest to find and kill Johan. 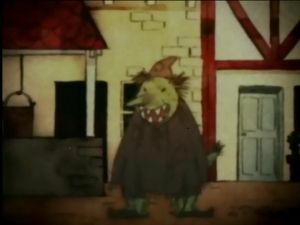 The episode begins with a fairy tale about a Monster without a name. Nina reads the story from the picture book and has a sense of deja vu. Johan's evil plans for the book donation ceremony is carried out. 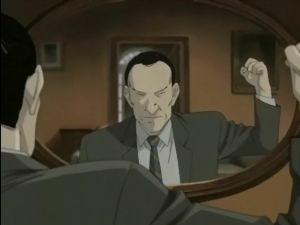 Dr. Tenma meets a big obstacle in his attempt to kill Johan. After the death of his seniors, Suk is left to re-investigate case from the very beginning. 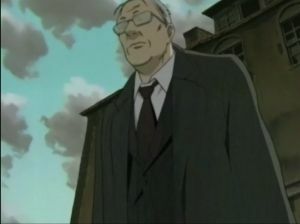 He gets information from the orphans about a meeting with Grimmer. 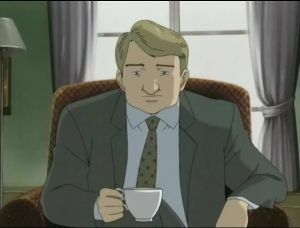 His intention to arrest Grimmer takes a different turn however when he gets deeper into the investigation. 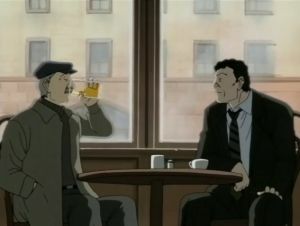 The episode also reveals that there is more to the nameless lady at the bar than she lets on. Nina confronts Johan who presents her with a story on what happened when many people were poisoned at the Mansion of Red Roses. 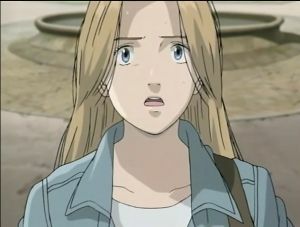 Nina realizes that she was the one who witnessed these deaths, the shock of this revelation nearly drives her to suicide, but she is saved by Tenma. Capek is gunned down by members of his organization when they find out about the guard that Capek killed. 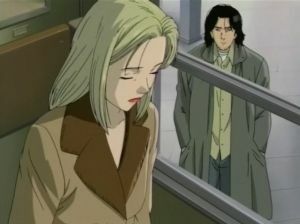 Tenma visits Rudy, a criminal psychologist, who is working on cases involving a murderer named Jurgens. 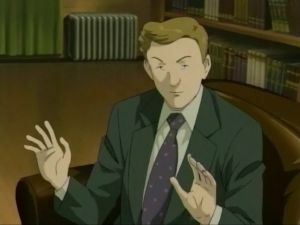 Lunge determines that the murder of a wealthy, middle-aged, childless couple does not fit the usual modus operandi of the serial murders and decides to use this opportunity to lure Tenma to a trap. However, before he can arrest him, Lunge is critically wounded by the real criminal. Tenma is able to treat Lunge's injuries. Richard's past and present situation is revealed. Johan continues to bond with the Schuwald family and his intention is revealed. Richard re-investigates his old homicide cases and makes a frightening discovery. 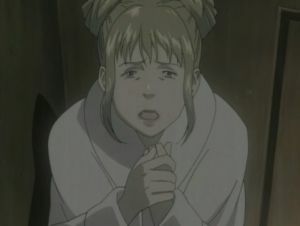 Lunge and Grimmer conclude something terrible is happening in Ruhenheim when random gunshots ring out, people are either murdered or disappearing, and any roads out of town are flooded by torrential rain. 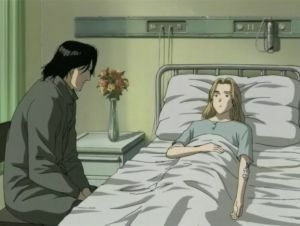 As Nina recovers in a nearby hospital, Tenma, using a lead from Capek, travels to Prague and meets with Lipsky and determines that Johan is in Ruhenheim. 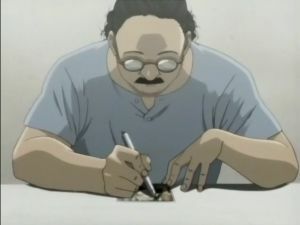 The extremists plans are put into action, and Tenma decides to postpone his search for Johan and instead heads to the Turkish district to warn the people there. Dieter and Heckel are captured by the skinheads. And Nina tries to get information about the 'main dish' from 'The Baby'. 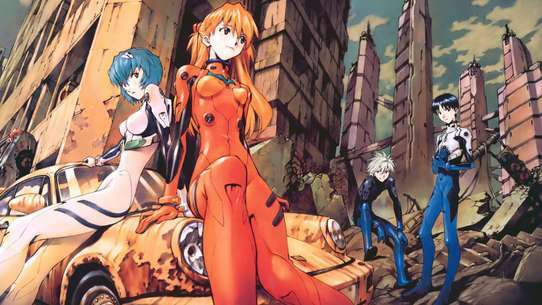 Martin’s attempt to save Eva costs him his life, his last minutes with Tenma reveals a terrible secrets about Martin’s boss, Peter Chapek and the about the experiments. Nina confronts Muller, one of the two detectives responsible for the death of her foster parents, the Fortners. Muller discovers that his protege, Roberto, is actually working for Johan. 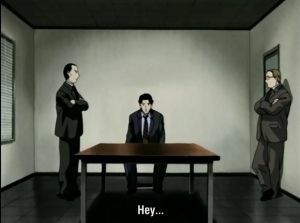 Capek tries to berate Johan for his actions and tells him that everything should be done according to Capek's plans but Johan simply disagrees and disappears. Capek realizes his hold on his organization is crumbling and has his men pick up Nina in Frankfurt. Eva accosts the young man who was introduced to Johan, Christof Sievernich, demanding answers. 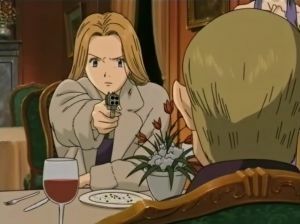 Dr. Tenma has a gun pointed at Roberto, but Roberto has the rifle pointed at him. Nina, Dr.Reichwen and Dieter arrive to find the whole library in flames. People are trapped inside and the doors are all locked. Karl reads the report on his mother's life and death. 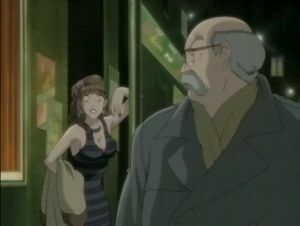 Dr. Tenma tries to rescue those trapped in the building. Johan reveals the monster inside of him to Schuwald. Grimmer has the key that Petrov gave him, and a former Czechoslovakian secret police organization wants it. Caught and tortured, Grimmer tells his abductors about 'the Magnificent Steiner'. 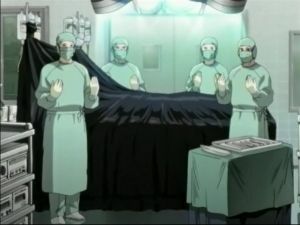 The price for disobeying Dr. Heinemann's orders to instead operate on the boy proves costly for Dr. Tenma and his career. It has been some time since the tragic blood battle, and everyone is working hard to put their lives back to normal. 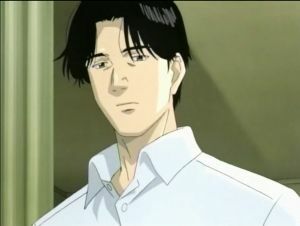 Tenma finally locates a woman he has been searching for, and she reveals some startling information. 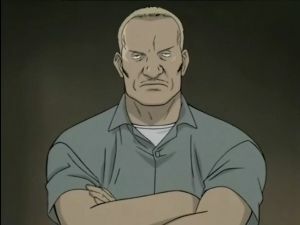 An old mercenary soldier named Hugo is interrogated by Lunge about a student of his — a doctor named Tenma. Adolf Junkers has information about the serial murders that is vital to the police, but he is afraid to reveal them. 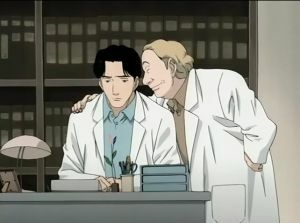 Dr. Tenma's care for Adolf Junkers however wins him over. However, his close relationship with Junkers leads him to a night of shocking horror. 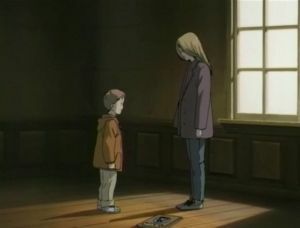 Nina returns to the apartment that she lived in with her mother and Johan and encounters another memory. She then returns to Munich and Dr. Reichwein where she volunteers for hypnosis to find the truth behind these memories. 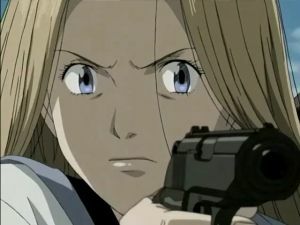 After she nearly kills Dr. Gillen in a hypnotic rage, she leaves Dr. Reichwein's house to try to stop Tenma from killing her brother. Meanwhile, Suk and Vardemann team up to interview former residents of the Mansion of Red Roses to gather information on Franz Bonaparta's reading sessions with his picture books, and for Vardemann to find out more about his father's true involvement.